Q: What can the Micro-Tech™ by TEMPUR® mattress offer me? A: The Micro-Tech™ range features original TEMPUR® Material designed to conform to the shape of your body, absorb motion and relieve pressure in all the right places. Because of its unique open cell structure, TEMPUR® Material is engineered to absorb movement caused by your partner's tossing and turning, and relieve pressure on key points of your body, to give you the best chance of enjoying nights of undisturbed, restful sleep..
Q: Do I need to flip a Micro-Tech™ by TEMPUR® mattress? A: The Micro-Tech™ mattresses contains ground breaking TEMPUR® Material that gradually returns to its original shape following compression, so there is no need to flip your mattress to maintain its high performance qualities. Q: What maintenance does the TEMPUR mattress need? A: All mattresses have removable and washable covers at 40°C. . Please refer to Product Care for further maintenance details. Q: Can I use an electric blanket with my TEMPUR mattress? A: Please note TEMPUR® Material works best in response to the natural warmth of the user, therefore an electric blanket is not recommended. 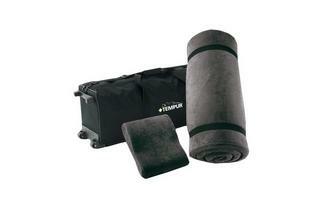 The heat from an electric blanket will temporarily offset the temperature sensitivity in the TEMPUR® Material. However, if you would still prefer to use an electric blanket, we would suggest an over blanket rather than an under blanket which will be perfectly safe to use and will not damage the mattress. Please refer to Product Care for further maintenance details. Q: Can the Micro-Tech™ by TEMPUR® Comfort Pillow be washed? A: Please do not attempt to wash, sponge or dry clean the pillow itself. Doing so will invalidate your product guarantee. There is a high possibility you will cause irreversible damage, destroying the benefits of comfort and support which the TEMPUR® Material provides. The Comfort Pillow has a removable and washable cover. The cover can be laundered in accordance with the washing instructions found on the label sewn inside the pillow cover. Please refer to Product Care for further maintenance details. Q: What is the Micro-Tech™ by TEMPUR® products made from? A: All Micro-Tech™ products feature TEMPUR® Material. Original TEMPUR® Material is composed of billions of Viscoelastic open cells. The cells allows TEMPUR® Material to gradually return to its original shape following compressions, resulting in billions of supporting points that reduce pressure on your sleeping body. The high performance sleep technologies makes TEMPUR® Material soft where you want it and firm where you need it™. Only a handful of top TEMPUR® scientists known the top secret proprietary formula to make Authentic TEMPUR® Material. For more on Sleep Technology™ by TEMPUR® visit au.tempur.com. Q: Will TEMPUR® Material make me feel too hot? A: Our mattresses are designed to respond to your body temperature, which activates their ability to conform to your body, offering support and reducing pressure points. With the improved support and reduced pressure points on your body, sleeping on our mattresses can help increase circulation, so you may find you need lighter bedding. Q: How is the Micro-Tech™ Hybrid Collection different from traditional spring mattresses? A: Fully sprung mattresses covered by quilted thickly padded ticking mean you are lying on row after row of coiled sprung metal. This may create pressure points that could cause discomfort. TEMPUR® material shapes to the contours of your body, adjusting and distributing your body weight evenly, reducing pressure and providing maximum support. Our Micro-Tech™ Hybrid Collection incorporates Pocket Springs in the base layer for sleepers who prefer a faster response, but want the benefits that TEMPUR® material offers too. Q: What are the benefits from Motion Absorption? 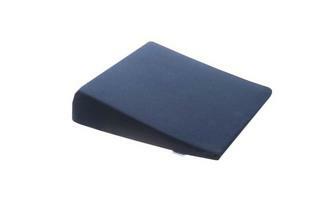 A: When you lie down on a standard foam mattress you, load it with potential energy. This energy is released when you move, causing motion which could disturb your partner. But a TEMPUR® mattress absorbs your slightest movement before returning to its original shape. So you or your partner are less likely to be disturbed by each other’s movement while you sleep. Motion absorption is measured through rebound – the lower the better. Drop a weighted ball on a standard foam mattress and it can rebound up to 20%. TEMPUR® has a rebound less than 3%. Q: How is NASA connected to TEMPUR® Material? A: TEMPUR® Material was originally developed by NASA’s Ames Research Centre, to cushion and support astronauts during lift-off. TEMPUR® Material distributes weight and pressure evenly, so all you feel is weightless. Today, TEMPUR® Material lies at the core of all our mattresses and pillow, and is still the only mattress product recognised by NASA and certified by the Space Foundation.